Junk removal, Rubbish Removal, Debris removal in Staten Island. All types of Garage Clean out in Staten Island: Estate Clean out, Basement, Storage Unit Clean out, Attic Clean out and Yard Waste clean out. Helping the environment in Staten Island: Computer Recycling, Printer Recycling, Monitor Recycling, Scrap Metal Recycling. Demolition jobs in Staten Island: Deck Removal, Shed Demolition,Carpet Removal, Hot Tub Removal, Fence Removal, Wall Removal, Above Ground Pools removal, Construction Debris Removal, kitchen & bathroom demolition. Click here to view the complete list of What We Take in Staten Island. 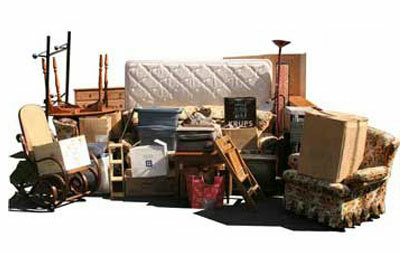 “Looking for a furniture removal NY service in Staten Island, NY? Are you in need of urgent removal? You’re on the right track. If your furniture is too heavy or you simply lack the time to eliminate one, we’ll haul your junk so you don’t have to break a sweat and waste your precious time. We are 1844JUNKRAT. Since our foundation in 1997, we strive to deliver friendly and quality services at extremely competitive rates. We’re packed with professional junk haulers that have years of experience in the field. We deal with furniture responsibly, reducing, repurposing, and donating as much as we can to local charities and churches. By choosing 1844JUNKRAT as your furniture removal NY service provider, you don’t have to pay for entire truck space that your junk hasn’t used up. With us, you’ll only pay for the space you used and we’ll do all the lifting, loading, and disposal for you. We’ll also give your place a quick sweep as we go. Your home or business deserves nothing but professional, efficient, and cost-effective furniture removal NY. Call us at 1800JUNK-787 right now to get your free quote and pickup schedule. We offer $20 discount for ¼ loads and up! Looking for the best mattress removal in Staten Island? Look no further than 1-844-JUNK-RAT. If your old mattresses are giving you a hard time, Junk Rat is the answer to your problem. Single, twin, king, or queen, we can transport your mattresses in Staten Island with no sweat. We take every job seriously and we’ll do this as fast as we can. We have friendly and dedicated crews so rest assured your mattress will get picked up the day or the next. Our rates for mattress removal in Staten Island varies according to the amount of space that your mattress takes up in our truck. We offer the lowest rates in Staten Island, so you can be sure you’d get your money’s worth. For questions or bookings on our mattress removal in Staten Island, please contact us at 1-844-586-5728 or 1844JunkRat.com. 1-844-JUNK-RAT is a local junk removal service in Staten Island that focuses on delivering quality services with low-cost pricing. For Thorough Garage Clean Out in Staten Island, Rely Only on Junk Rat. Small garage? No problem. Huge garage? Piece of cake. Regardless of the type of garage you have at Staten Island, 1-844-JUNK-RAT is up for the challenge. 1-844-JUNK-RAT offers the lowest rates for garage clean out in Staten Island. Our fees are all-inclusive; meaning, we do all the work while you sit and relax – all for a single payment! Our crews are best at what they do. They underwent intense training, learning the basics of thorough residential cleaning and quality customer service. For questions or bookings for garage clean out in Staten Island, you may reach us via 1-844-586-5728 or 1844junkrat.com. For fast and friendly local junk removal service in Staten Island that’s trusted for years, choose only Junk Rat. 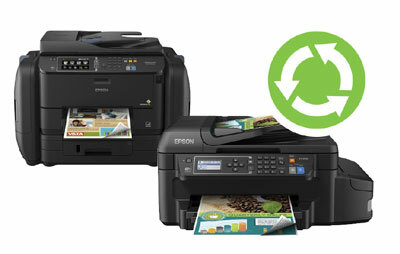 Whether you have one or multiple units, we can take care of your printer and monitor recycling needs in Staten Island. You don’t have to lift a finger – our well-trained crews will do all the lifting and loading for you. Estate clean outs are never easy to deal with. Aside from mental frustration, the task is harder than it seems. If you’re looking to get the fastest estate clean out in Staten Island, then you’re looking for 1-844-JUNK-RAT. Dubbed as the biggest local junk removal company, 1-844-JUNK-RAT can help with your estate clean out needs in Staten Island. We have the finest crews in town – they’ve been through a lot of training to give you excellent services done in a flash. Our price for estate clean out in Staten Island is the lowest in NJ so far. By paying a single fee, we will get the job done within the day or the next, without you having to move a muscle. We will clean, lift, and load everything to our spacious truck while you’re relaxing and waiting for us to finish. You can book your slot by calling 1-844-586-5728 or visiting 1844junkrat.com. We give free upfront pricing according to your clean out needs in Staten Island. Junk Rat is a local junk removal service in Staten Island that’s committed to providing excellence and satisfaction to our valued clients. 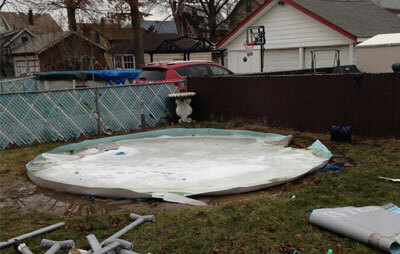 Are you renovating your home and need an immediate above ground pools removal in Staten Island? Then you are on the right track. With 1-844-JUNK-RAT, your home is in good hands. Geared with the latest equipment in demolition, 1-844-JUNK-RAT is a local junk removal company professional junk haulers in Staten Island can remove your above ground pool and eliminate the remains so you don’t have to. Round or oval, there is no pool that we cannot handle. Best of all, you won’t have to do anything during the process. Just lead us to your above ground pool and we’ll do the rest. Our demolition service in Staten Island will not cost you a fortune. In fact, we only charge for the space your trash takes up in our spacious truck. If you book a demolition service today, we will give you instant free estimates. After agreeing with the price, we will start on your above ground pools service straight away! 1-844-JUNK-RAT is a local junk removal service in Staten Island company that’s committed to 100% customer satisfaction. Televisions can get in the way once they stop working. You might not want them at your home in Staten Island anymore, especially if your space is not as roomy as others. This is when you need our TV removal service at 1-844-JUNK-RAT. Whether your TV is as small as 24 inches or as wide as 50 inches and up, we can help you address your TV removal needs in Staten Island. Tell us which TV to remove and we will take them in our 15-cubic yard truck. You don’t even have to move a muscle! For questions or booking requests, all you need to do is contact us via 1-844-586-5728 or 1844junkrat.com. We offer free estimates in Staten Island! Junk Rat is the biggest local junk removal service in Staten Island trusts to date. Looking for a top-notch appliance removal service in Staten Island? Look no further than 1-844-JUNK-RAT. Since 1997, we are dedicated to provide fast, efficient, and professional service at a price you can afford. Little or huge, heavy or lightweight, there’s absolutely no appliance that we cannot lift and take away in Staten Island. 1-844-JUNK-RAT is blessed with the best crews who are intensely trained to do everything for our clients, including lifting, loading, and sweeping. This means you don’t need to do anything at all! Just wait for us to finish while you do other valuable chores at home or work. The best thing about our appliance removal service in Staten Island is that we don’t offer skyrocketing rates. In fact, ours is 25% cheaper than our leading competitors. 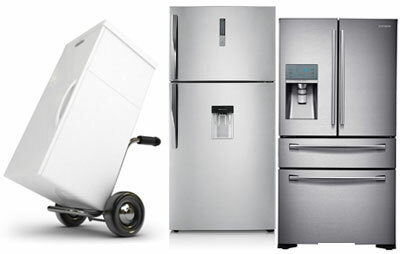 What’s more, we base our prices on the space your appliances take up in our truck. 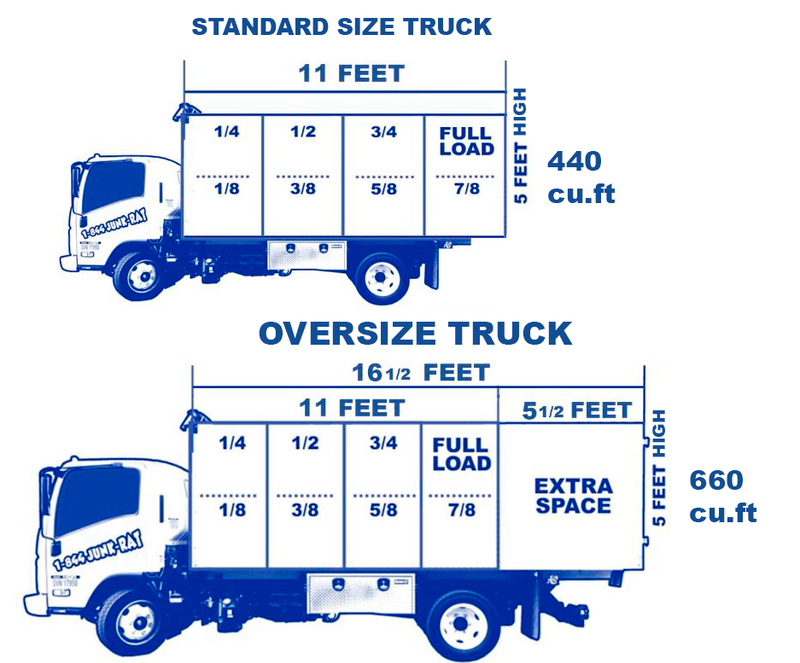 This means you don’t have to pay for the entire truck space, saving you more money down the road. Getting your slot for appliance removal in Staten Island is extremely easy. Simply call 1-844-JUNK-RAT or 1-844-586-5728 to get started. Alternatively, you can book online at 1844junkrat.com and receive $20 discount on your billing! Basement and attic – these are some of the most areas we often neglect. If this is your current problem, you’re most probably looking for a basement or attic clean out NJ service in Staten Island whom you can trust. The good news is, 1-844-JUNK-RAT is here to help. 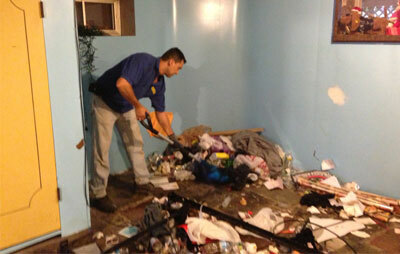 Serving Staten Island since 1997, 1-844-JUNK-RAT can take away just about any junk you have at home or office. Small or large, heavy or not, our professional crews will take away stuff that you want to go, without asking you to lift a finger. That’s right, no lifting or loading for you! Our rates for basement or attic clean out are absolutely affordable – you don’t have to pay for the entire space in our truck, only those that your junk takes up. But don’t get us wrong – we make quality and consistent service a top priority in Staten Island. For bookings or questions on our local junk removal service New Jersey in Staten Island, contact us at 1-844-586-5728 or 1844junkrat.com. If you book online, you’ll get instant $20 discount! Your bike can be a great source for fun and exercise. 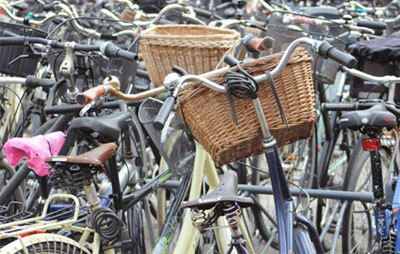 But once it becomes unusable, your bike can be an eyesore in the garden that may be a potential cause for harm. Since you’re seeking for quick bicycle removal in Staten Island, we strongly suggest you try 1-844-JUNK-RAT. Whether it is a road bike, a mountain bike or a hybrid bike, we cater to all bicycle removal needs in Staten Island. Our team is packed with friendly, professional crews and they are trained to do all the work – lifting, loading, and disposal. That said, you don’t have to move a bit! If budget is your top priority, you’re in good company with 1-844-JUNK-RAT. Our bicycle removal service in Staten Island is very affordable, asking you to pay only for the space your bike has used up in our truck. Carpets add instant pizzazz to home but once they’re torn and dirty, you want to replace and get a new one. 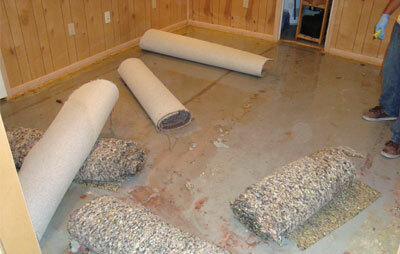 And when carpets get too hard to dispose, getting the best carpet removal NJ service in Staten Island is a must. When it comes to this task, 1-844-JUNK-RAT delivers. Residential or commercial, small or wide carpets, there is absolutely nothing that we cannot accomplish in Staten Island. If you choose us, there is no need to get your hands dirty – literally. Meaning, all you got to do is relax while you watch us take away filthy carpets and load them into our 15-cubic yard truck. Our local junk removal company NJ’s carpet removal service in Staten Island does not cost much. In fact, our rates are 25% lower than that of our competitors. So rest assured, you’re getting awesome service without having to break your budget. 1-844-JUNK-RAT is a local junk removal service in Staten Island that’s at your service no matter what your junk removal needs are. 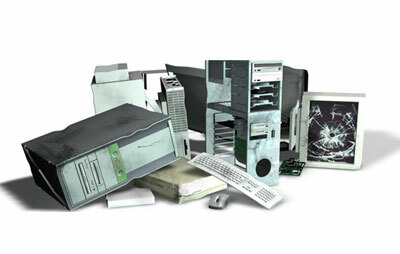 Your computer has been with you for years, but now it has succumbed to damage and needs to be disposed. 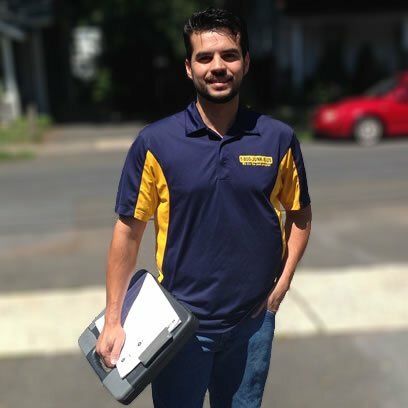 If you’re in need of a reliable computer recycling service in Staten Island, we got your back. 1-844-JUNK-RAT is here to help you in this process. Whether you’re throwing away a desktop, laptop, or all-in-one computer, booking our computer recycling in Staten Island is all you need. We have a spacious truck, not to mention the best crews in town doing everything for you, including lifting, loading and disposal. 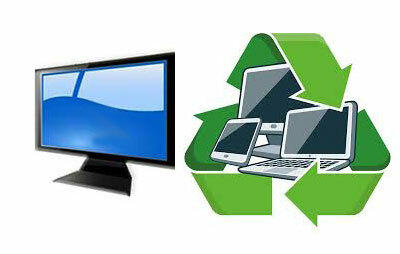 The best thing about our computer recycling service in Staten Island is that we don’t require costly payments. As a matter of fact, our rates are 25% lower than our leading competitors. Also, we recycle electronics as much as we can. This is to reduce environmental impact and waste on landfills. At 1-844-JUNK-RAT, you’re confident that you’re with a local junk removal service in Staten Island that aims to please and fulfill your needs. Whether you’re renovating home or office, you want expert construction debris removal to handle the job. Aside from being professional, we at 1-844-JUNK-RAT offers fast and reliable service for your junk removal needs in Staten Island. Large space or not, we don’t say no to any construction debris removal in Staten Island. Our crews have gone into intensive training to give you nothing but 100% satisfaction. We do all the lifting, loading, and disposal as you watch us get the job done. 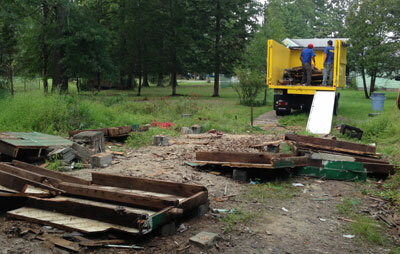 1-844-JUNK-RAT is committed to providing low-cost construction debris removal in Staten Island. In fact, our rates are lower than other local junk removal company by 25%. This is because you’ll pay only for the space you’ve used up in our truck. 1-844-JUNK-RAT, the biggest local junk removal service in Staten Island, is committed to providing quality service while disposing junk responsibly. Decks offer a great venue for relaxation and family bonding. But there will come a time that they get damaged and dilapidated by the changing weather. Since you’re searching for deck removal in Staten Island, we will explain why using 1-844-JUNK-RAT is the best way to go. Renowned as the biggest local junk removal company in Staten Island, 1-844-JUNK-RAT is your one-stop provider for all your junk disposal needs. We currently specialize on deck removal, serving the parts of Staten Island. We are blessed with the best crews in Staten Island. Apart from being professional and friendly, they are highly competent in providing only the best service a client deserves. By paying an all-inclusive low-cost fee, you’ll get customized service without exerting any effort on your end. 1-844-JUNK-RAT is a local junk removal service in Staten Island that’s focused in providing fast and friendly services. Serving Staten Island for years, 1-844-JUNK-RAT is a local junk removal company that’s dedicated to give you waste management service that’s fast, friendly, and fits the budget. Our prices are currently the lowest in Staten Island, with rates 25% lower than our leading competitors. 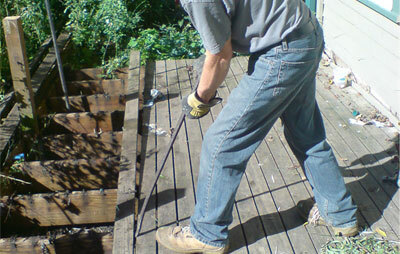 Our fence removal in Staten Island can be booked by calling 1-844-586-5728 or visiting 1844junkrat.com. If you book via our website, you’ll get an $20 discount coupon! Not just another local junk removal service in Staten Island, 1-844-JUNK-RAT manages waste responsibly and donates to local charities. Your home is never complete without your furniture. They complement your decors, while providing functionality at the same time. But over time, they get old and damaged, and you’ll want to get furniture removal as fast as possible. If you are in Staten Island, there is only one name to trust – 1-844-JUNK-RAT. Big or small, light or heavy, we at 1-844-JUNK-RAT can get rid of your damaged furniture in no time. Our local junk removal company have extensive experience in hauling junk, after having serviced Staten Island for years. More than just a local junk removal service in Staten Island, 1-844-JUNK-RAT aims for a cleaner, greener, and healthier environment. Garage is one of the most important parts of our abode. We cannot keep our vehicles without one. But there are instances when we want fast garage demolition in Staten Island. When speedy service is what you’re looking for, you can always count on 1-844-JUNK-RAT. Spacious or not, we demolish just about any type of garage in Staten Island. If you choose us, you don’t have to do anything but sit back, relax, and watch how we complete the job within the day. Our crews are well-trained and skilled in garage demolition, so you definitely can leave everything to us. We at 1-844-JUNK-RAT pride ourselves for setting rates significantly lower than that of our competitors in Staten Island. Specifically, we are cheaper by 25%. This is due to our billing system, which lets you pay only for the space your junk takes up in our truck. 1844-JUNK-RAT is a local junk removal service in Staten Island that fulfills your junk removal needs with extreme professionalism and responsibility. Garbage has always been a major problem all over the world. Especially if you live in Staten Island, eliminating them is such a pain in the neck. The good news is, New Jersey has a reliable service provider that takes away virtually all sorts of junk there is – 1-844-JUNK-RAT. Specializing in garbage removal in Staten Island, 1-844-JUNK-RAT offers low-cost junk removal services with top-notch speed and customer support. Aside from fast availability, our all-inclusive fees let you relax, have a coffee, or read a book while having your home or office cleaned professionally. You don’t have to move or lift anything – leave everything to us. As mentioned, our prices are very affordable. In fact, we’ve set rates that are guaranteed 25% lower than our leading business rivals. 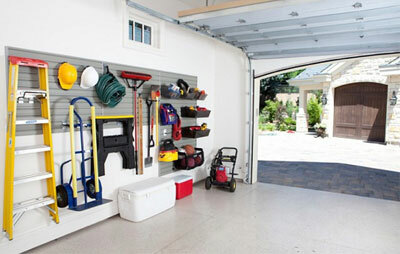 This is to make thorough garage removal in Staten Island reasonable, and also an affordable luxury. Known as the largest local junk removal service in Staten Island, 1-844-JUNK-RAT aims for 100% client satisfaction and a cleaner, greener New Jersey. 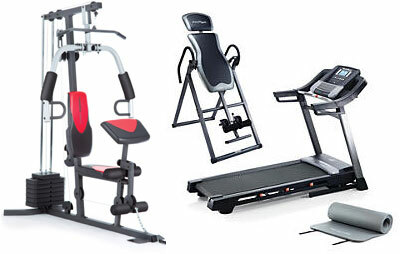 Equipment at the gym help us stay fit and healthy. However, once they are broken and unusable, it’s quite difficult to get rid of them. If you’re looking for the best gym equipment removal in Staten Island, 1-844-JUNK-RAT is all you need. Our local junk removal service New Jersey in in Staten Island is made more affordable compared to our local competitors. In fact, we beat their prices by 25%. Also, we recycle junk and donate them to local charities. Simply put, we’re not all about getting money, but also about the environment’s welfare and yours. Hot tubs offer a great way to ease stress or bond with a loved one. But there are times when you just want to have them removed fast. However, you can’t rely on just anybody to do the job, as this might cause more harm than good. For the fastest yet top notch quality hot tub removal in Staten Island, 1-844-JUNK-RAT is the only service company to go. Round or oval, freestanding or not, your hot tub removal needs in Staten Island will be properly taken care of. If you choose us, you won’t have to lift or load anything – our professional junk haulers can get the done job in a jiffy. 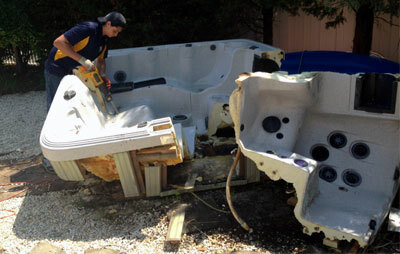 The best thing about our hot tub removal services in Staten Island is that they come in ridiculously low rates. In fact, ours are whopping 25% lower than our major competitors. This only means that if you keep choosing our local junk removal company for your junk removal needs, you’ll enjoy significant savings! Removing junk from home or office has always been a tedious task. Aside from being time consuming, nasty junk can have millions of bacteria in them, which might transfer on various parts of home. You don’t want your family getting sick, and so do we. By booking your junk removal in Staten Island at 1-844-JUNK-RAT, you’re confident that your home is clean, junk-free, and germ-free. 1-844-JUNK-RAT is a local junk removal company that delivers outstanding junk removal in Staten Island without the hefty price tag. Based on our surveys, we are 25% lower than leading competitors. This means getting our services gives you 25% savings every single time. Monitors are your best friend whether at home or office. But what if yours are broken? What if they are too many to dispose all at once? Don’t fret because 1-844-JUNK-RAT is here to fulfill your monitor recycling needs in Staten Island. 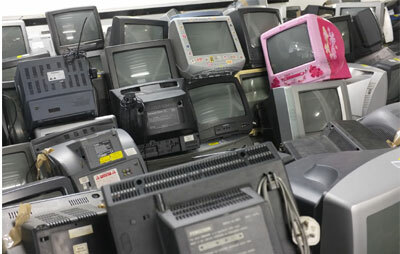 Small or large screens, LCD or LEDs, there are no monitors that we cannot manage here at 1-844-JUNK-RAT. Our local junk removal company is competent and committed in providing monitor recycling services in Staten Island that meet, if not exceed client expectations. 1-844-JUNK-RAT offers monitor recycling in Staten Island at its best. We have dedicated recycling facility and rest assured, your monitors are in good hands. Once recycled, we will donate them to local charities so they won’t go in landfills and harm the environment. Refrigerators are an absolute necessity at home. Without them, storing food for extended periods won’t become possible. But having a broken refrigerator around can be quite bothersome. But don’t worry about it. When it comes to refrigerator removal in Staten Island, 1-844-JUNK-RAT will remove your fridge so you don’t have to. 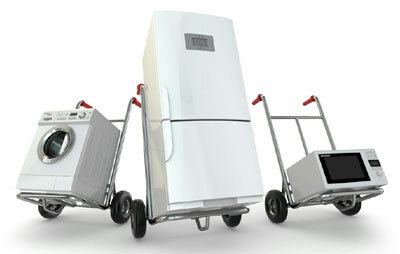 Small or large, one or more doors, we can handle your refrigerator removal needs in Staten Island. Our local junk removal company is packed with professional and highly efficient crews, having years of experience and intensive training. While we’re lifting, loading, and removing your junk, you can either relax and watch us finish or do other valuable tasks. Prices at 1-844-JUNK-RAT are amazingly low. In fact, our rates are 25% lower than that of our competitors. This only means getting more savings each you use our refrigerator removal in Staten Island! 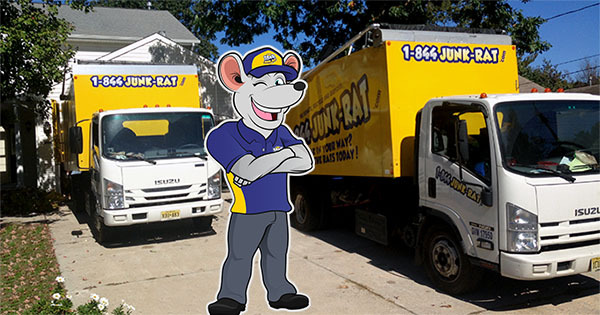 For reliable local junk removal service in Staten Island, trust only 1-844-JUNK-RAT. All sorts of rubbish have no room at our home or office. However, most of us lack the time or don’t have the energy for dealing with too much junk. If this is you and you want immediate rubbish removal in Staten Island, there’s only one name to call – 1-844-JUNK-RAT. Whether single or multiple truckloads, there is absolutely no rubbish that we cannot handle here in Staten Island. Our highly competent, well-trained men will do all the job for you, including lifting, loading, and disposal. All you have to do is tell us what you want to eliminate and we’ll do the rest. When looking for a reliable local junk removal service in Staten Island, 1-844-JUNK-RAT is the only name to trust. Scrap metal removal is quite a challenging task. The risk of getting injury is there, plus not all metals are treated in the same manner. Luckily, there is now a good provider of scrap metal removal in Staten Island that’s trusted for years. Our company goes by the name 1-844-JUNK-RAT. 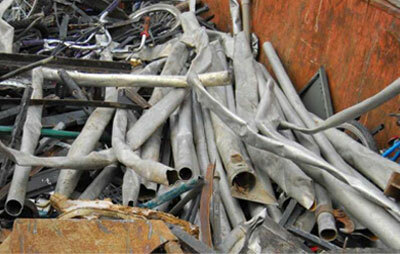 Brass, aluminum, lead, nickel, or tin, there are no scrap metals that we cannot dispose in Staten Island. 1-844-JUNK-RAT’s team of professional junk haulers are highly experienced and trained to handle even the toughest jobs. What’s more, we do all the work while you’re at home relaxing and waiting for the job to finish. At 1-844-JUNK-RAT, we don’t tag our scrap metal removal in Staten Island with skyrocketing prices. In fact, ours are set 25% lower than that of our competitors. That’s great value for such a big task. Our local junk removal service in Staten Island company focuses on delivering quality service at a low, low price. Sheds play an important role in our home. Whether for relaxation or storage, most homes are dying to have one. However, when they become old and weathered, chances are, you would need have it removed professionally since it’s heavy and huge. 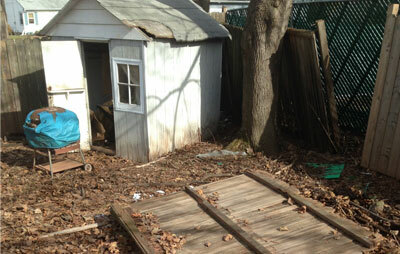 When searching for a good shed demolition in Staten Island, 1-844-JUNK-RAT is the best option. Wood, bricks, or concrete, there is no shed that we cannot abolish in Staten Island. Geared with the latest demolition equipment, our local junk removal company NJ’s professional crews will get the job done fast, efficiently, and thoroughly given that you’re booked on us. Our shed demolition rates in Staten Island is really affordable. In fact, our prices are guaranteed 25% lower than our rivals in business. Also, we dispose junk responsibly; trying to reduce as much junk as we can to lessen those that go to the landfills. 1-844-JUNK-RAT, offering proven cost-effective local junk removal service in Staten Island, is a family based full service company that serves the state for years. Sofas act as focal point in any room. They add instant flare to the space regardless if it’s limited or grand. But there will come a time that they need to be disposed. Since most models are heavy, you would want a professional do it for you. When it comes for sofa removal in Staten Island, 1-844-JUNK-RAT is the only name to call. Sectional, L-shaped, or mid-century sofa, you’re confident that we can handle your sofa removal needs in Staten Island. We are blessed with professional junk hauling crews, having the great expertise and experience in this field. They are trained to help ease your junk problems, without requiring you to move anything. 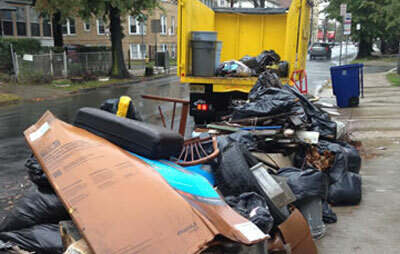 1-844-JUNK-RAT is a local junk removal company in Staten Island that’s focused in providing friendly stellar services. Your storage unit is your best friend for keeping stuff that matters most. However, when it becomes too crowded with clutter, you would want a reliable ally to help your with the cleaning. With regards to storage unit clean out in Staten Island, 1-844-JUNK-RAT is definitely the way to go. 1-844-JUNK-RAT is a local junk removal company that offers storage unit clean out n Staten Island that’s within your reach. We don’t offer extremely high rates. In fact, the fees you’re bound to pay is 25% lower than other providers. 1-844-JUNK-RAT offers local junk removal service in Staten Island that’s affordable, fast, and thorough. Hailed as the biggest local junk removal company to date, 1-844-JUNK-RAT offers nothing but fast and most reliable tire removal in Staten Island. We have professional crews to fulfill your junk removal needs, allowing you to relax or focus on things you want to do most. Our prices for tire removal in Staten Island are extremely reasonable. As proof, we’ve surveyed all over New Jersey and found that we’re 25% lower than our competitors. What’s more, we’re committed to responsible junk disposal; recycling junk as much as we can to reduce environmental impact and landfill wastes. 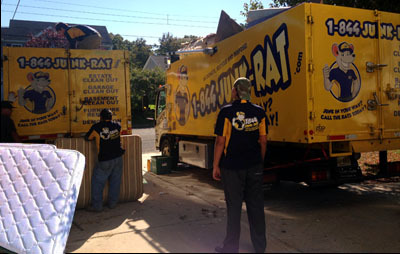 When looking for a reliable local junk removal service in Staten Island, you’ll never go wrong wit 1-844-JUNK-RAT. 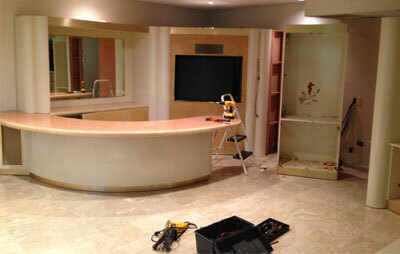 During home or office renovations, walls removal is usually required. But, you can’t let just any service provider handle the job. For professional walls removal in Staten Island, 1-844-JUNK-RAT can definitely meet, if not exceed your standards. Serving New Jersey for years has earned us good reputation in walls removal in Staten Island. 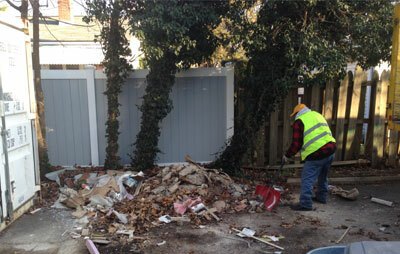 Thanks to our professional crews, who do their best in removing junk for both residential and commercial clients. They do all the work for you – lifting, loading, and stuff – so you don’t have to stress and break a sweat. 1-844-JUNK-RAT is the biggest local junk removal service in Staten Island provider that delivers fast, efficient, and complete results. Your washer and dryer is undeniably one of the most important things to have at home. But as time flies, they get old and start to slowly dysfunction. This is the perfect time you want a washer & dryer removal service, especially if you’re in Staten Island. Who do you call? Only 1-844-JUNK-RAT. 1-844-JUNK-RAT is a local junk removal company that’s trusted for years to deliver fast, thorough, and consistent service. Automatic or not, we will do swift washer & dryer removal in Staten Island if you book on us. You don’t have to lift or load anything – leave it up to us and it will be done within the day. Our local junk removal service in Staten Island cares about our clients as well as the environment. For you, we offer very reasonable prices, having rates that are 25% lower than our competitors. 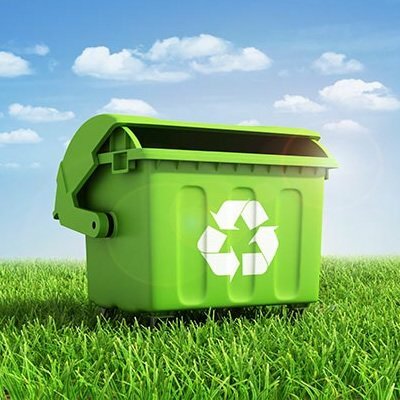 For the environment, we reduce, reuse, and recycle so waste in landfills will be reduced. For affordable and reliable local junk removal service in Staten Island, count only on 1-844-JUNK-RAT. Removing yard waste can be cumbersome, especially if you need to deal with them every single day. We, at 1-844-JUNK-RAT, doesn’t want you feeling frustrated and stressed over junk. If you don’t have much time for it, leave it up to us and we’ll accomplish the yard waste removal in Staten Island with utmost enthusiasm and efficiency. 1-844-JUNK-RAT is a local junk removal company that focuses on your needs and welfare of the environment. Our professional crews get the job done within the day or the next, and can handle even the toughest and biggest yard waste removal jobs in Staten Island. You don’t even have to lift a finger – we’ll lift and load everything into our spacious 15-cubic yard truck. We care for the environment as much as you do. This is why we reduce and recycle and after that, we donate the finished products to local charities. We also give you more value for money, offering rates for yard waste removal in Staten Island that are 25% cheaper than others. 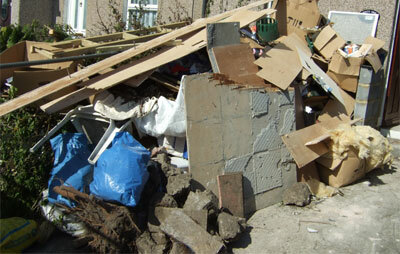 When seeking for local junk removal service in Staten Island, 1-844-JUNK-RAT is the name to rely on. Call us today for a free estimate and same day Junk Removal in Staten Island!